It's Christmas time!! I love this time of year, and I am always looking for fun and easy Christmas Gifts to give my friends and family. 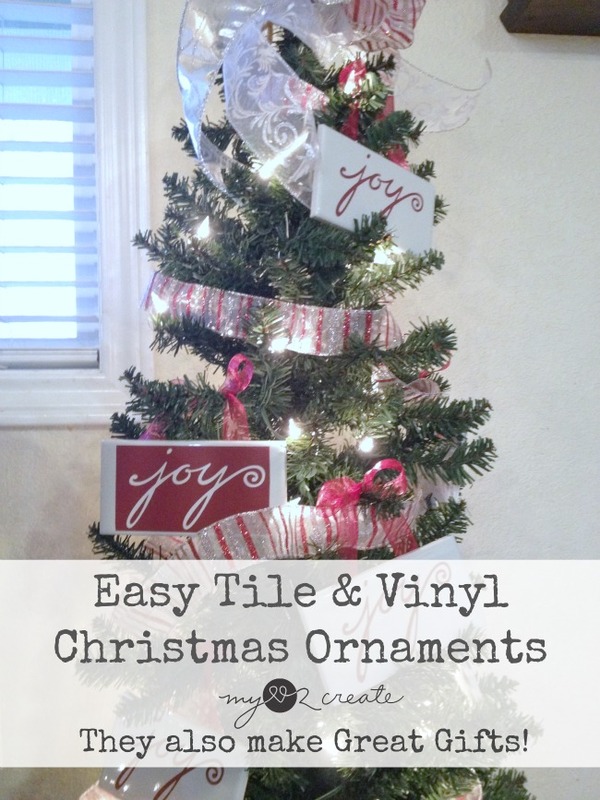 Today I am going to share some Easy Tile and Vinyl Christmas Ornaments that I made and gave as Christmas Gifts. I actually made these TWO years ago. How's that for being on the ball?! The best part is that they are simple to make and very inexpensive. You can buy tile at Home Depot for super cheap, and purchase your vinyl online or cut it with a cutting machine, I used my Cricut which I LOVE! I like to make the most of my vinyl buy using both the cut image and the left over vinyl it came from. See the two ornaments above? That is one cut of vinyl and I got two ornaments out of it. I think they both look super cute...waste not, right!?! Vinyl- order online or cut with a cutting machine. Start by applying your vinyl to your tile. Not pictured. 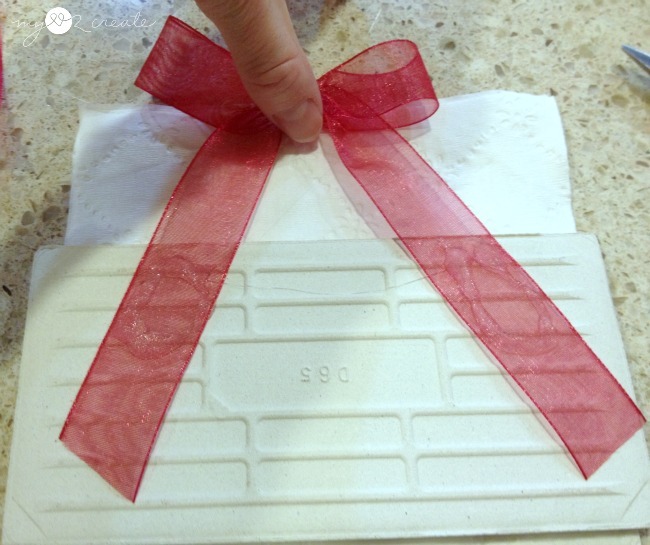 Then tie a simple bow in your ribbon, and hot glue it to the back of your tile. 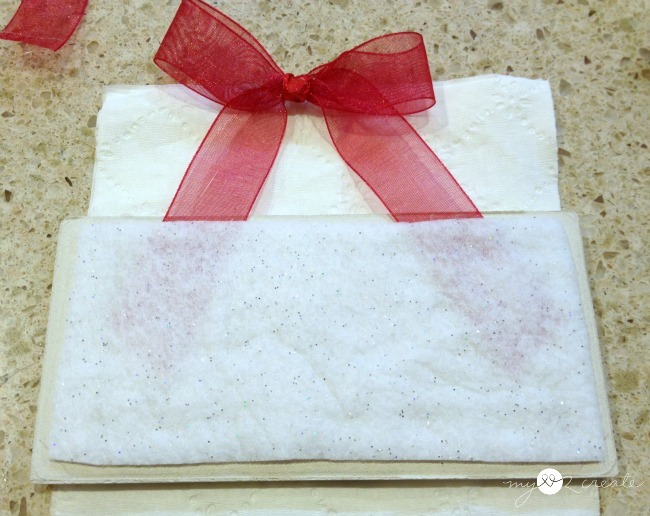 Cut a piece of scrap felt the size of your tile, and hot glue it onto the back, covering the tile and the ribbon. 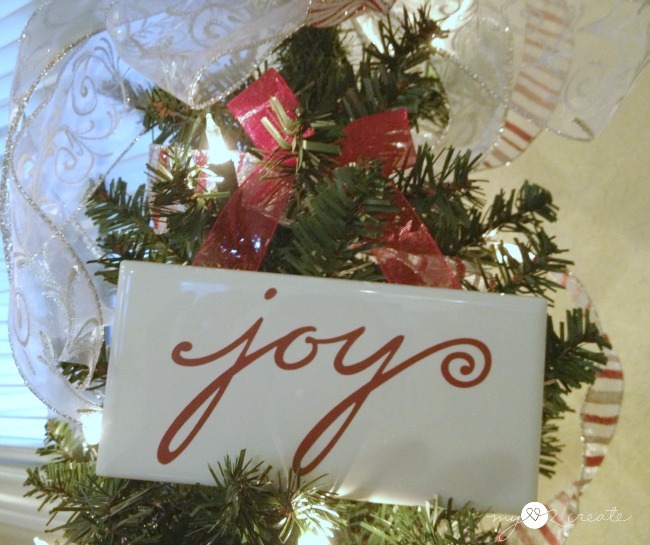 If you don't want to make ornaments you could do a bigger tile and make a plaque, just give it as a gift with a small easel. I created these simple nativity scenes and gave them to friends, everyone loved them! You can see I also used both parts of my vinyl which gave me twice as many gifts using half the amount of vinyl. Whoop! 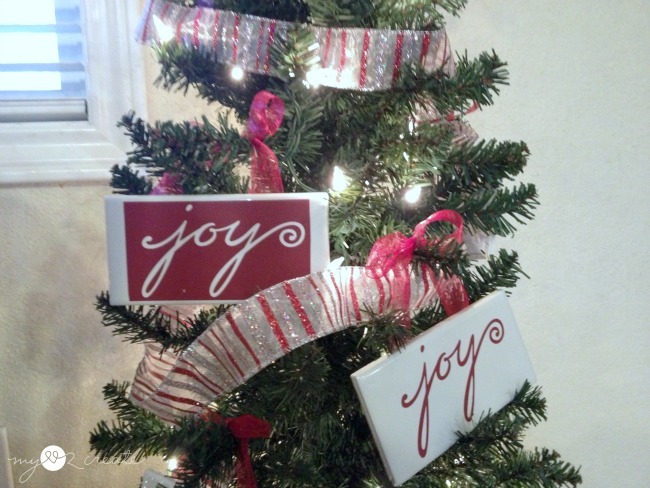 They hang perfectly on the tree with the ribbon. Do you think you would like this as a gift? It is perfect when you have lots of people on your list! 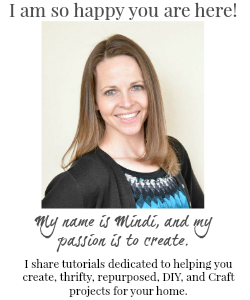 Before you go, I wanted to share some exciting news for my friend Ana White! Not only did Ana and her family build their home, and their Mom's home, but they built a Cabin too! 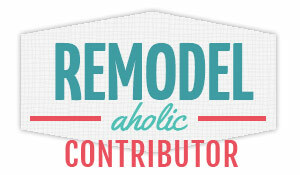 And they are going to share the process on DIY Network! 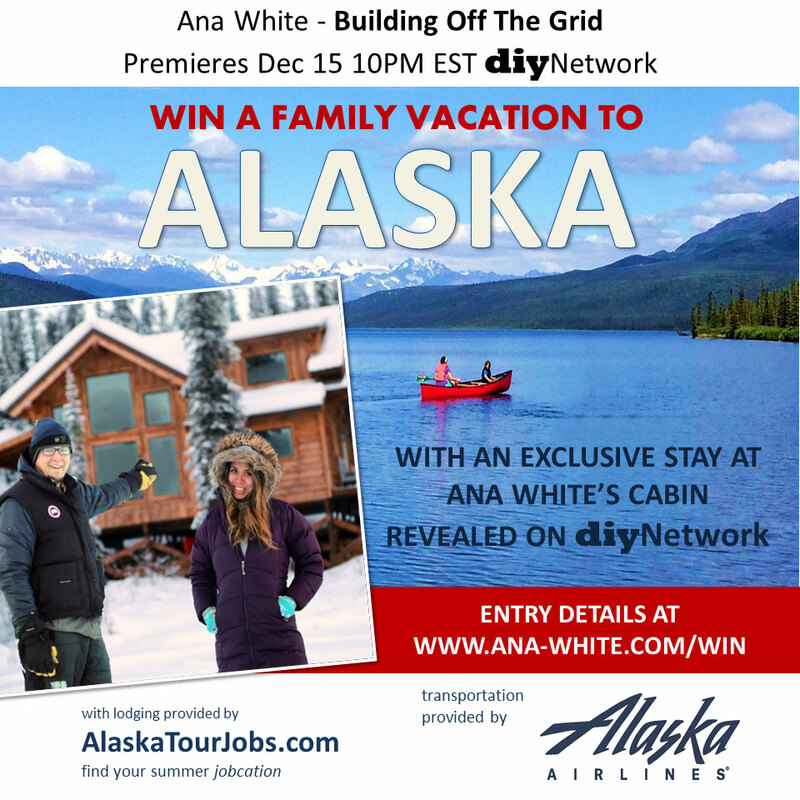 I admire them so much and to top it off, they decided to use the money that was meant for advertising for the show to instead provide an Alaskan dream vacation for a family! You can enter to win here! I am excited to watch it starts tomorrow! So you don't want to miss it! Ana was one of the bloggers that inspired me from the beginning, and I am so grateful for her and happy for her success! 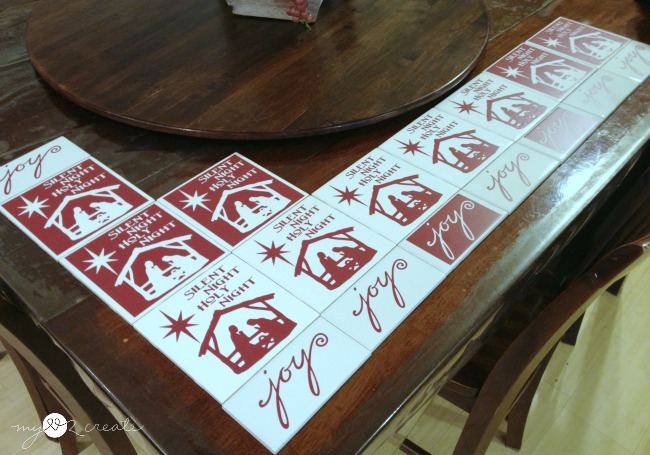 Now who wouldn't love one of those Joy tiles? So pretty! 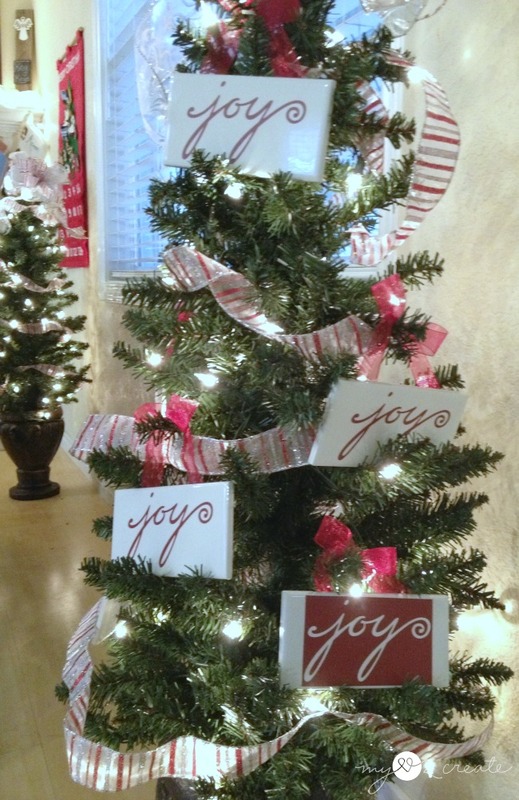 I love making things with vinyl and tiles but had never thought oh hanging them on the tree so thanks for the idea. I will be making these for my Bunko group next year because it is difficult to find gifts that are cute but inexpensive enough to give to 11 people. 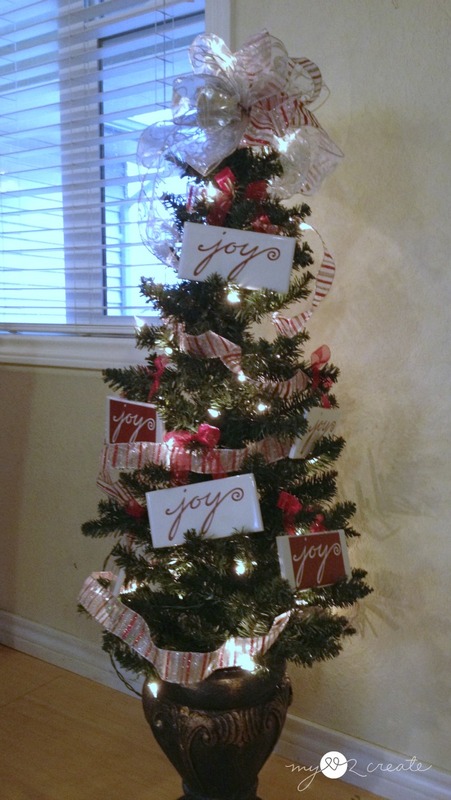 Do you mind if I ask what font your "Joy" is in? I'm a "font-aholic" and would love to add that one to my collection.